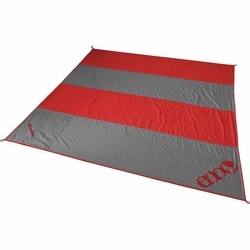 ENO Islander Deluxe Blanket. All the nirvana-worthy luxury of the original Islander, but supersized. Roomy enough for up to 6 people, bums are going to stay sand-free and faces are going to stay happy with the travel ready Islander Deluxe Blanket. Eagles Nest Outfitters.